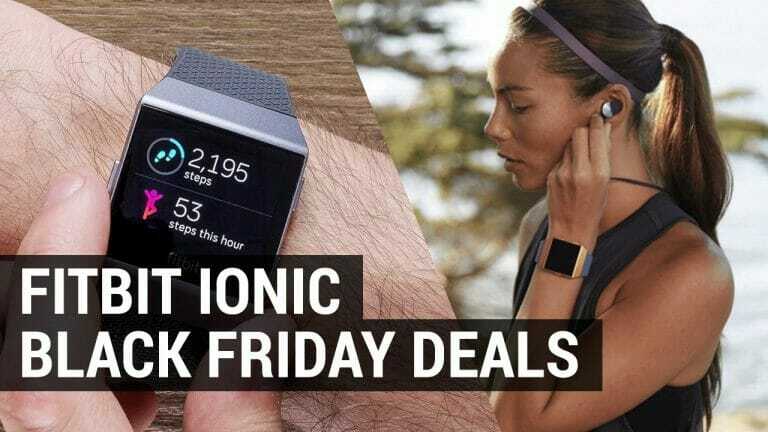 Is it worth purchasing a Fitbit Flex 2? 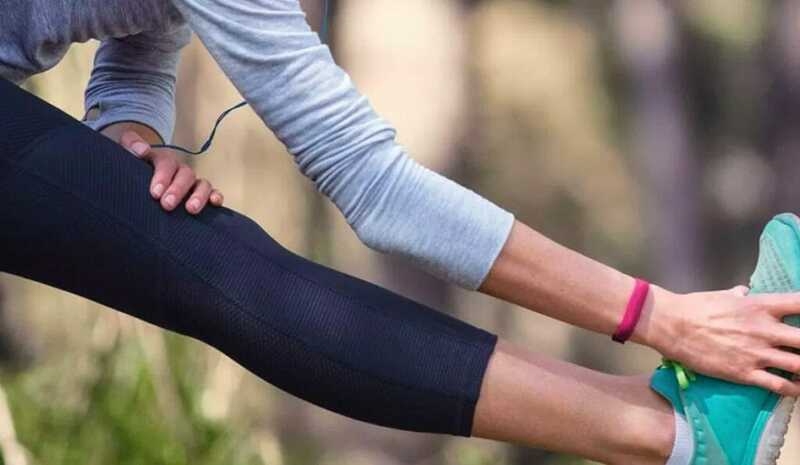 The Flex 2 is marketed as Fitbits lightest, slimmest most flexible wristband to date. 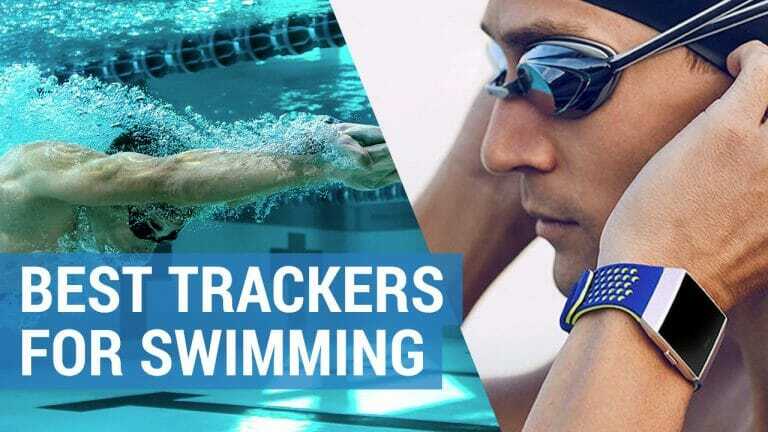 Able to track your progress to goal it is waterproof to 50 meters, allowing you to make a splash wherever you choose to wear it. From the beach to the bar, this watch has been designed to look decadent on your wrist and comes with a removable tracker to allow you to style it as part of a bangle or in a pretty pendant. This simple activity tracker has no display screen but uses LED lights instead to track your targets, alert you of call notifications and inform you if you’ve been inactive for too long. And, once paired to your mobile phone, you can take full advantage of the more comprehensive data analysis. For the latest price, check Amazon here. The Flex 2 is Fitbits most accessible activity tracker, which is probably what makes it so popular. Originally launched in 2013, the Flex 2 is an evolution of the original version. 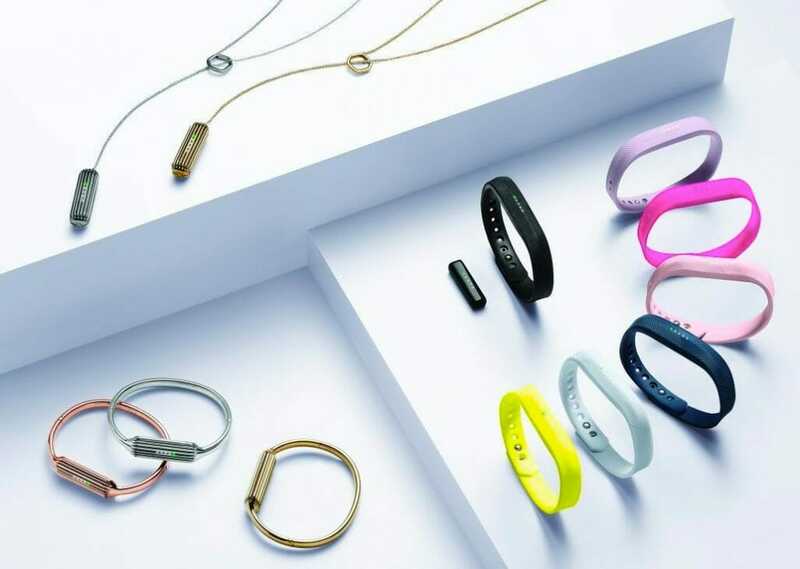 Claiming to be the most customizable watch yet and offering a choice of colors, bands, bangles and pendants I was excited to see how this activity tracker worked. 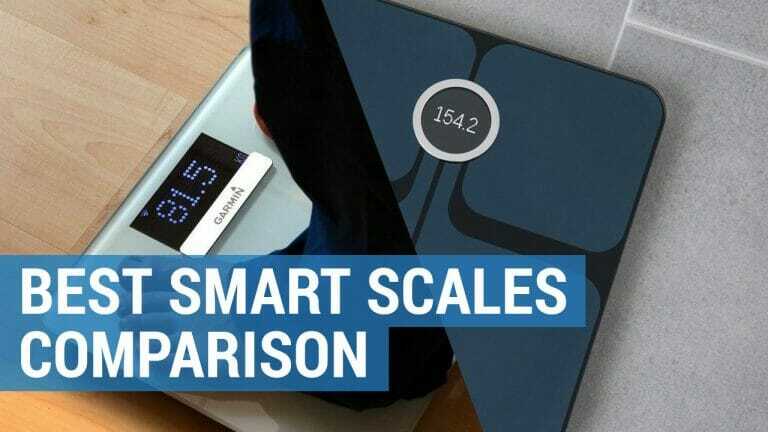 Upon opening the box, I was surprised to find a modest and unassuming watch design and having only worn watches that offered a digital display, I was intrigued to try a different approach to tracking my fitness. 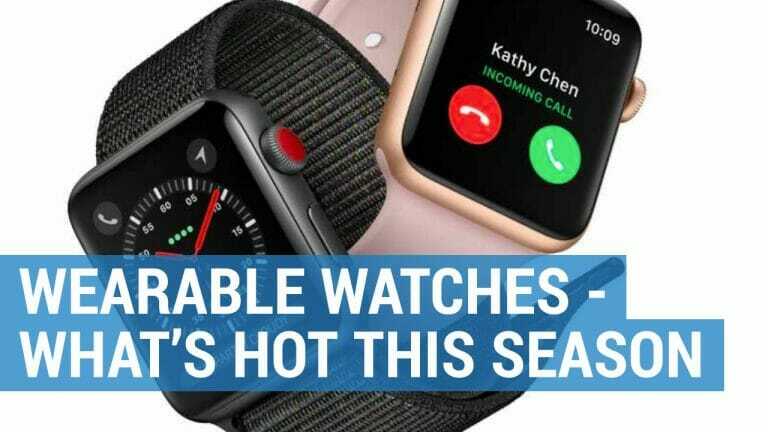 There is no getting away from the fact that this watch, in comparison to other activity trackers on the market, is simplistic in terms of functions and features – however this is reflected in the price. Taking inspiration from the trendy Misfit brand, with its waterproof tracker and interchangeable accessories, the Flex 2 lets you work your own style. The bands themselves come in a choice of attractive colors including lavender, magenta and navy – although I chose to stick with the stylish black version. Small but perfectly formed, the Flex 2 accurately provided me with all the essential stats I required daily, such as calculating miles, calories burned, and minutes moved. This tracker effortlessly kept record of laps, runs and cardio workouts and for someone who actively avoids anything remotely techy, I could easily share my results with family and friends using the Fitbit app. Instead of a standard display screen, the Flex 2 uses a coloured LED light panel with accompanying vibrations. Whilst a quick double tap allows you to view the number of lights lit at any given time, the 5 LED buttons are coordinated to communicate with you, and constantly flash to keep you updated or alert you to notifications received on your phone. This all sounds simple in theory, however, if you have a memory like mine and a zillion other things to remember, trying to decipher what each light meant without the aid of a handbook, did prove challenging. Being waterproof, the Flex 2 can remain on your wrist all day long and with its niffy sleep tracking feature, is the perfect night time companion. It has long been proven that a good night’s sleep can help aid your wellbeing. As a busy parent, getting some much-needed shut eye does not always come easily to me. But, with the Flex 2 I was able to directly correlate how well I slept with how active I had been during the day. The more steps I achieved the better I slept, proving once again that exercise is not only good for the body, but the mind and soul too. When you want to take a closer look at your goals, activity and progress you can seamlessly sync to the Fitbit app for a summary of your exercise achievements. Here I was able to see how many steps I’d achieved, how many calories I had burned (and could therefore virtuously re-consume) and what distance I had covered each day. It was also able to inform me when I had been inactive for too long and could recognise between the different types of exercise I did. This meant that I could switch between doing a class at the gym to a jog in the park or a cycle with the kids, knowing that the Flex 2 had my data covered. Once logged on, the Fitbit app provides you with a host of different data, graphs and charts. It’s also a great pocket motivator, as it is packed full of persuasive challenges for single or multiple players and makes keeping fit fun. You can also download other apps that will allow you to indulge in some serious fitness coaching or listen to some music for some extra motivation. I did pay for one app that provided a variety of HIIT workouts that I can do myself when I had a few minutes at home. Although these downloadable apps aren’t complimentary, the cost of downloading them still works out considerably cheaper than joining the gym or getting a personal trainer. I will confess that I am a bit of a mermaid. I love doing laps in my local pool, joining friends for a session of aqua-aerobics and have recently started to appreciate the appeal of open water swimming. Therefore, one of the biggest benefits that the Flex 2 offered me was the ability to count laps whilst distinguishing between different strokes. And, even if you aren’t a water baby like me, if you enjoy a refreshing shower or an indulgent bath, you will appreciate its waterproof casing. Working at a desk all day, another funky feature that I particularly liked was the ability to customize alerts. To encourage me to move more I set myself a challenge of achieving 250 steps per hour with an overall daily target of 10,000. Forget an inbuilt heart rate monitor or GPS tracker, the Flex 2 doesn’t even come equipped with a clock! Don’t get me wrong, I appreciate that Fitbit has taken a simplistic approach to this activity tracker, but in doing so, I found the functionality confusing. Working out the colors, patterns and vibrations proved difficult enough, but not being able to see my results instantly was insanely frustrating. When compared to other alternatives currently available, the Flex 2 lacks sophistication and features. 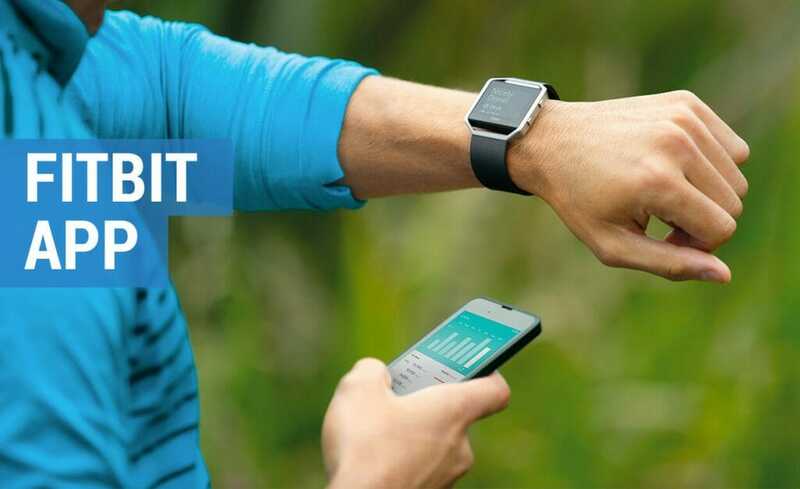 Garmin Vivosmart 3, priced at just a few dollars more, offers a better overall analysis of your wellbeing with additional benefits such as a heart rate monitor, stress level reader and VO2 Max tracker. The Flex 2 is slim, sleek and lightweight so I often forgot it was there. However, I hated not having a clock, so I ended up having to wear another accessory on my wrist just to tell the time. 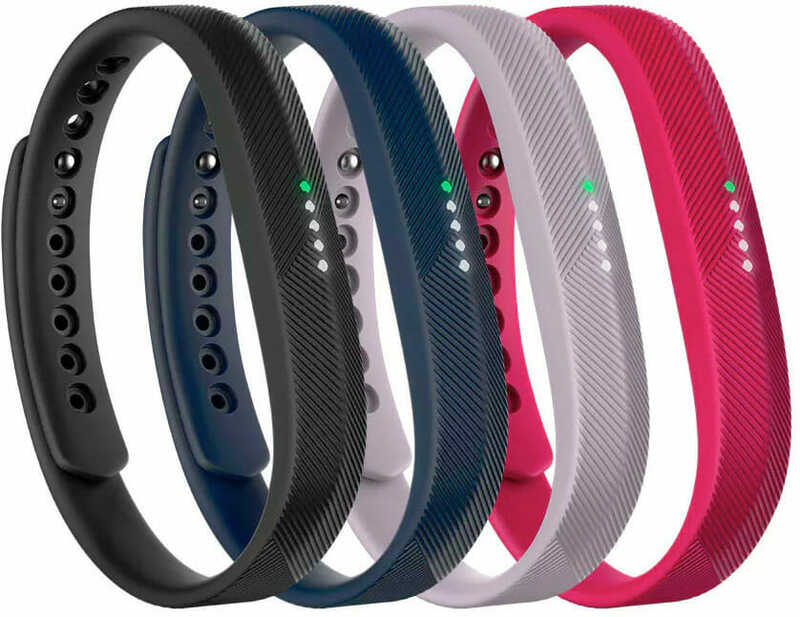 The accessories that you purchase additionally are designed to look like items of jewelry as opposed to sportswear and the activity tracker band comes in array of fun colors making it easy to match with outfits throughout the day and into the night. Popping the tracker from band into bangle is simple. The only drawback to wearing this activity tracker as an accessory is that it does lose the ability to track certain daily activities. For such a small watch with the most basic of features you would expect it to stay charged for a number of days, if not weeks!?! You therefore might be somewhat disappointed to learn that every 4-5 days the Flex 2 needs to be charged in a standard USB charger. The watch will flash to tell you when it is running low on juice or alternatively you can check out when it needs charging online. If you are a fitness fanatic looking to improve your performance, then this is not the watch for you. If, however, you are looking for style over substance and want an activity tracker that merely motivates you to keep moving, then this simple device is perfect for day and night. Its design is inconspicuous on the wrist, yet it can be styled up for a special occasion. Add to that the price you’ll pay for the Fitbit Flex 2 and you’ll find that’s pretty modest too.